Jane Costello, the new Mayor of Bingham Town Council, has chosen Women’s Aid Integrated Services as her charity for the year. This is great news for the charity’s Indigo Project which specifically supports women in Bingham and surrounding areas. Val Lunn, CEO of the charity said: “We’re so excited that we can work together for the year, raise awareness of our work and the fact that no-one living with domestic abuse should suffer in silence”. 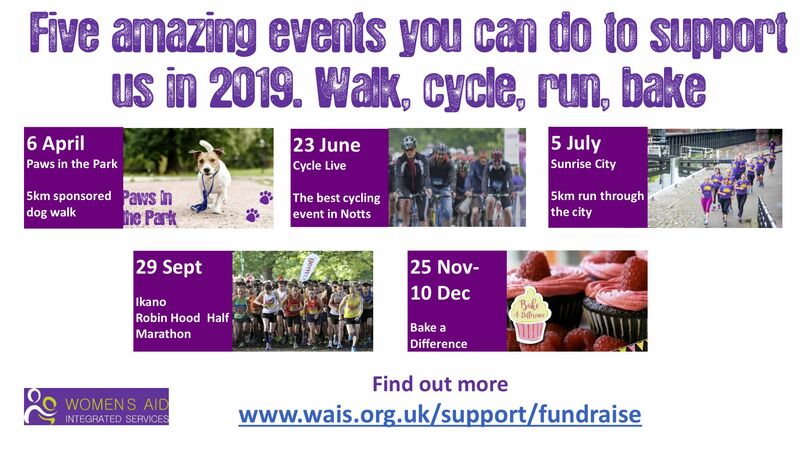 If you would also like to support the charity then please visit their website at www.wais.org.uk. Responsible for provision of services such as refuse collection, leisure, arts and theatre facilities, attracting business to the area and collection of Council Tax. Responsible for education, transport, roads, footpaths and influences provision of services such as police, fire and ambulance. © 2019 Bingham Town Council. Website by Hrunk.